Your life is an epic. To those who love you, and to generations yet to be born, it's as enthralling as a bestseller. It's a composition crafted since before you entered the world--and it's still being written. The words are your family stories, your parents' love letters, and your journals in the attic. And the images are your photos pasted in albums, piled in drawers, and packed in the cellar. Each artifact tells a fascinating tale, including how and why it survived generations. Who will pass on these memories to your loved ones? My guide will help you create your legacy. You'll learn how to protect your cherished family treasures with techniques that professionals in the finest museums use. These solutions are easy, inexpensive, and crafted especially for you. You'll understand history as you never had before. You'll discover the traits, temperaments, and talents that link generations. You'll realize that you're a member of a group larger than your family. You're part of history. 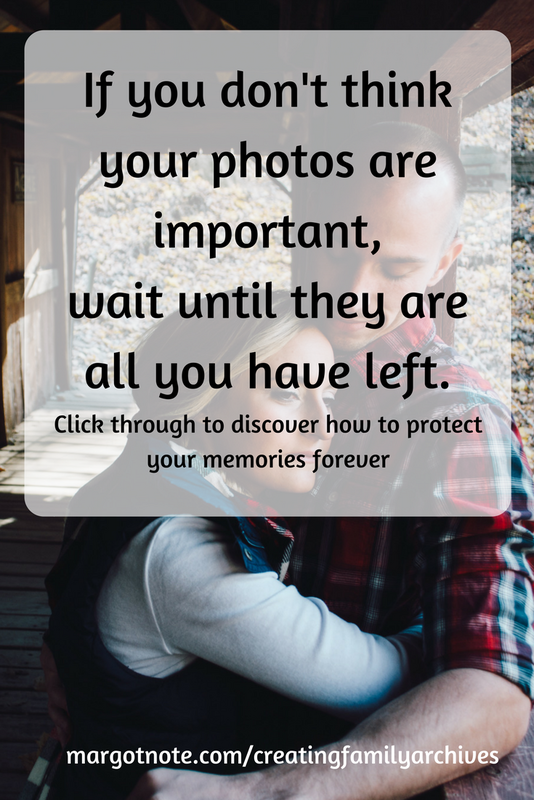 Preserving memories brings joy to thousands of lives. Are you ready to protect your past, enrich your present, and inspire hope for your future? To learn the preservation secrets used by libraries, archives, and museums to protect their priceless materials (that you can also use for your family heritage items) read my book: . Like this post? Never miss an update when you sign up for my newsletter. As a gift to you, you'll receive a free, premium download of my Project Prioritizer. This trusted tool will help you embrace where you are with your collections and start enjoying your family archives more today .